By now, you should be in the swing of things as far as 2019 goes. No more accidentally writing 2018 on your forms and crossing out that eight, right? No? Well, time isn’t waiting for you. Quite a few games have already come out in 2019, and whether or not you’ve finished playing some of the best of 2018 yet, once we get through Kingdom Hearts III, the games will just keep on coming. Once again, I asked the staff to give me a list of their most anticipated releases of the year, and this Top 10 list is the culmination of our lists. Unlike our Game of the Year tabulations though, we didn’t add any weighted value for each rank. We simply listed our favorites and broke ties wherever they occurred. We did our best to choose games that we believe are safe bets to release this year, but of course there’s no way to actually predict the progress each game has reached with the development houses they’re a part of, so yes, delays can happen. 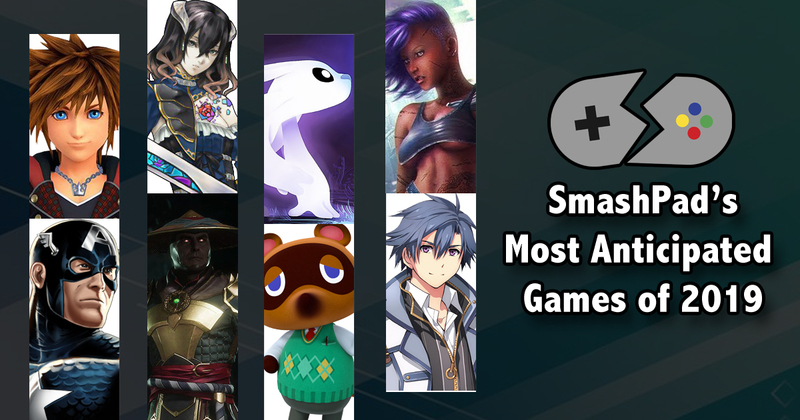 One thing’s for sure: we didn’t put Death Stranding on this list. Again. And since Kingdom Hearts III is definitely coming out next week, we didn’t put Final Fantasy VII Remake here. Hell, that problem isn’t even coming out. So click on for our list!